Biofeedback is a very versatile treatment method for helping people become healthier using signals or feedback from their own bodies. Healthcare professionals use biofeedback to teach patients how to help themselves. Psychologists use it to help clients who suffer from anxiety learn how to reduce tension and relax. Physical therapists use this technique with victims of stroke in helping them regain mobility in paralyzed muscles. You certainly used biofeedback in its most simple forms. A thermometer tells you if you’re running a fever and a scale tells you whether you’re gaining or losing weight. Both of these devices give you “feedback”, which is information about your body. With this feedback you can decide what to do to help yourself. If you’ve got a fever you know you need to stay in bed and drink fluids. If you’re gaining weight, you can make the decision to go on a diet. Healthcare professionals use sophisticated biofeedback equipment in a similar manner. This equipment observes what’s going on inside a person’s body, their bodily functions, with a great deal of precision. The information gleaned is extremely helpful for both patients and their healthcare provider for measuring progress and directing treatment. From the patient’s standpoint the biofeedback machine allows them to observe what’s going on internally in their body by actually seeing or hearing the activity as it happens. One of the more commonly used machines monitors electrical signals given off by the muscles. These signals are transformed into something the patient can see or hear. It might be a flashing light that’s activated or a beeper that goes off when muscles become tense. A patient trying to relax tense muscles would then try to slow down the light or the beeping by consciously relaxing the muscles. Like trying to learn any skill the person trying to benefit from biofeedback is in training to improve their ability by monitoring their performance using the biofeedback machine. If a ballplayer is trying to improve their pitching over home plate they see how far off the mark they are and then adjust their pitch the next time so that there’s improvement and with practice they learn how to toss a good pitch every time. The same thing happens with biofeedback, because the patient makes internal adjustments which change the signals thus giving them feedback as to their progress. The therapist acts as the coach by setting the goals and defining the limits as to what to expect while giving pointers on how to improve. There is no definitive explanation in the scientific community as to how biofeedback actually works. Most of the patients who benefit from having biofeedback are actually getting training in how to relax by modifying their behavior. Most scientists agree that learning how to relax is a key factor in biofeedback treatment and important in helping many kinds of disorders, especially ones that are brought on or exasperated by stress. Their reasoning on this is based on what is commonly known in the medical fields about the effects of stress on health and the body in general. Stress can cause certain kinds of physical responses, many of which are controlled by our sympathetic nervous system. This is the network of nerves that prepares our body to handle emergencies by “fight or flight” responses. When the stressful event ends people usually calm down, especially if they have used coping mechanisms to deal with it. For example think about walking down the street and then suddenly becoming aware that someone is running towards you. When this happens all the bodily changes mentioned above go into play until the “threat” has passed and the person is gone, then your body begins to relax. Your body was preparing you to handle the threat by either running away or defending against an attack. But if you get mad at your supervisor at work, it’s different. Your body may start preparing for the fight but since you don’t want to get fired, you try to ignore your anger and move on. Another example would be if you’re stuck in traffic you know there’s nothing you can do about it and there’s no escape. You may become very annoyed and possibly even get sick when you find yourself in these kinds of situations because your body is prepared to react, but you can’t. We all are different in how we react and respond to stress. In some people their blood pressure will rise, while in others it doesn’t. Experts think that these different individual physical reactions to stress can become habits. When the body is continuously aroused, certain bodily functions can become habitually overactive which can do actual physical damage and affect one’s health. The goal of biofeedback treatment is very often to change the habitual responses to stress that causes pain and/or disease. Many healthcare providers observe that certain patients have no idea how to relax. Having feedback on certain physical responses such as muscle tension and skin temperature is very helpful for patients in recognizing when they are under stress and in learning to relax. 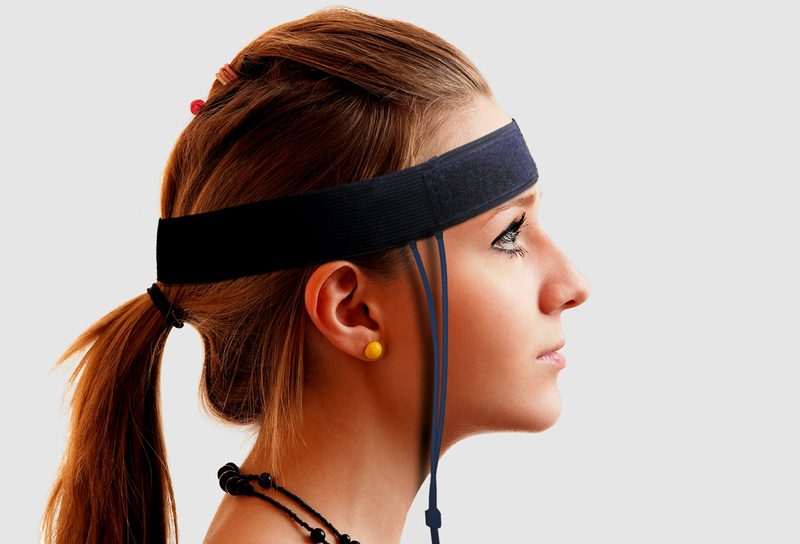 The signal from the biofeedback machine can act as a kind of reward of lowering tension and becoming more relaxed. The importance of the feedback signal in terms of information and a reward is even greater for patients who are paralyzed or have spastic muscles. These are the patients who are actually learning a skill using biofeedback, similar to the ballplayer learning how to pitch accurately over home plate. These patients are not watching the baseball, but instead watching the biofeedback machine which is monitoring the activity taking place in the paralyzed or spastic muscle. Someone who’s suffered a stroke can actually see that there are parts of their paralyzed arms or legs that still remain active. This is proven to them when they see the signal from the biofeedback machine. Therefore the signal can guide the type of exercises or physical therapy that is performed and help patients to regain use of their arms and legs. This is extremely important because they get the reassurance they need that their limbs are still alive and this knowledge encourages them to keep working hard so they can get better. Tagged how biofeedback works, understanding biofeedback, what is biofeedback. Bookmark the permalink.